Typically, most AC fan controllers crudely clip the AC sine wave to try to control fan speeds. Since an AC fan is designed to run on a 50Hz sine wave, the distorted wave supplied to the fan results in it buzzing. This is highly inefficient and will reduce the life of your fan. 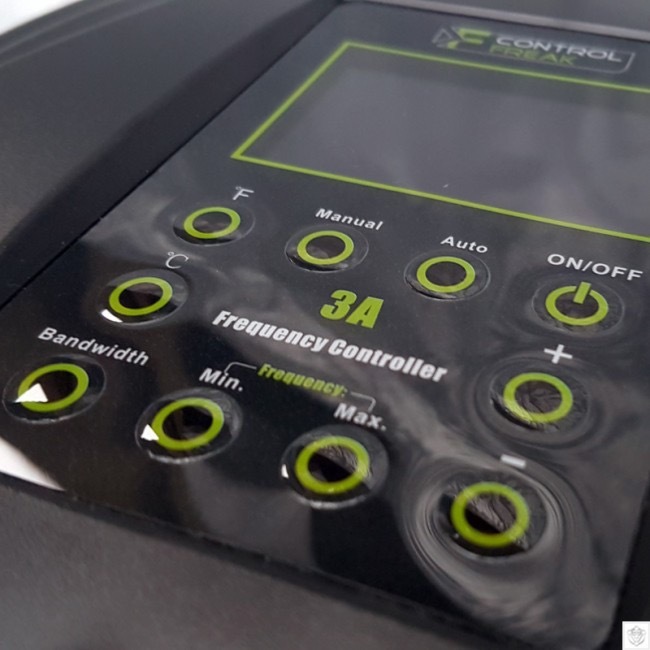 The Control Freak Frequency Controller is unique in that it precisely alters the wave's frequency to control the fan speed which results in super smooth fan control. 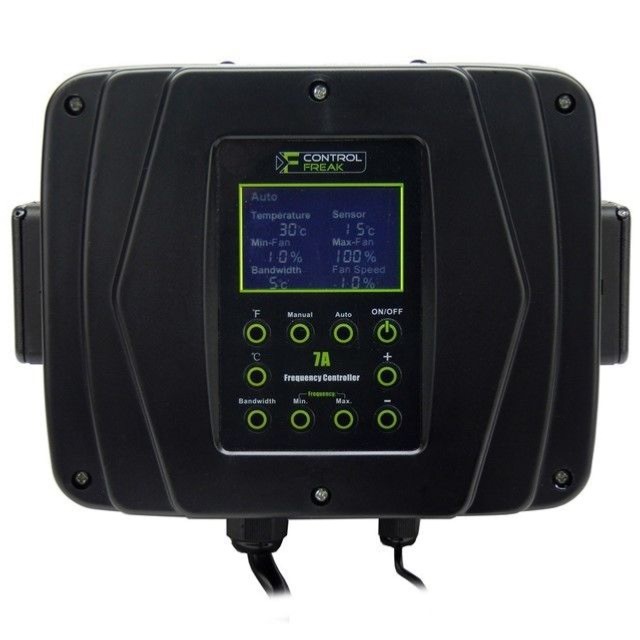 There is no buzzing, the efficiency is much greater and the fan will last much longer.